The mainstream economic community has a notoriously short attention span and a lack of long-term perspective. After the longest government shutdown in American history subsided, the mainstream proclaimed the fight well and over – in other words, nothing to see here, Trump “folded” and all is well. Of course, what they consistently seem to ignore is the fact that the shutdown was only placed on a three week hiatus. This is hardly any assurance of a return to “normalcy”. As I write this, the Trump Administration has yet to make its State Of The Union Address, and it is possible we will know more afterwards on the shutdown issue. Trump’s propensity for saying one thing and doing another makes it difficult to discern the future on policy actions. We don’t have long to wait, however, as this March is set to be possibly one of the most tumultuous times for the modern U.S. economy. 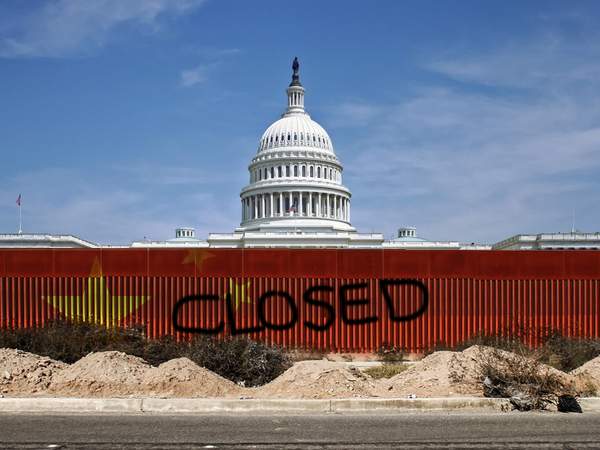 It should be noted that the timing of the possible return of the shutdown is set just before the Trump Administration’s decision on expanded tariffs against China. The trade war “pause” is yet another event which was wrongly heralded by the mainstream as the “end of uncertainty”. Along with the propaganda surrounding the Fed “pause” in policy tightening, I am starting to see a pattern here. For the past month, it has seemed as though market risk sentiment is being manipulated to the positive side through numerous promises – The promise that the shutdown has been averted, the promise that the trade war will be over by March, and the promise that the Fed has “capitulated” on raising interest rates and cutting the balance sheet. Perhaps all of these promises will turn out true, but my suspicion is that most, if not all, of them will be found false. In terms of the shutdown, I see little indication that there has been a change in narrative. Keeping the false left/right paradigm in mind, as well as the fact that Trump works closely with elitist banking and think tank interests within his own cabinet, the screenplay for our little drama continues to present a staunchly divided political arena. Democrats are unlikely to budge on their opposition to the southern border wall, and Trump is unlikely to budge either. This can culminate in one of two ways: Either Trump will re-initiate the government shutdown fight by the end of February, or, he will declare a state of emergency, bypassing the shutdown altogether and using the military to build the wall through funding at the executive level. Another possibility, which I personally subscribe to, is that BOTH events could occur simultaneously – a shutdown and a declaration of emergency. There is the potential for obstruction by Democrats in the Senate or by the military itself in a declaration of emergency, which would add considerable confusion to the matter. A shutdown in this case would be unavoidable. But some liberty activists might ask, why should we care? Don’t we prefer a government shutdown? Ideally, yes, but there are consequences for the venture that need to be addressed. First, it is important to realize that the government is the largest employer in the U.S. The federal government employs approximately 2.7 million civilians; its closest competitor is Walmart with 2.3 million employees. But if we take into account every person that takes home a government paycheck from the state and federal level, including school teachers, police officers, DMV workers etc., the number rises dramatically to over 22 million people. Some people might argue that state workers would be unaffected by a government shutdown, but this is not necessarily true. With most states utterly dependent on federal funding to operate public programs and entitlement programs, states can in fact be affected by a long-term shutdown. The near panic that ensued over the last shutdown was motivated by some legitimate concerns. It is not just the millions of government employees which represent the largest part of the American economy, but the millions of people (families) dependent on those employees for their survival. In an economy which is around 70% retail and service based, the removal of ANY existing pillar of consumerism can have negative reverberations through the entire system. Beyond a freeze in pay to America’s largest employment base, there is also the issue of welfare programs like EBT, which were already on the verge of being cut off this month if not for early payments. A return to the shutdown is likely to last much longer, and with EBT payments delayed through March, a panic would ensue. This is why it is important to take the shutdown into account, as a trigger event as well as a mass distraction from central bank activity. The “pause” in the trade war with China also represents a kind of non-event that is driving false optimism. With the trade deficit only expanding further with China, one must question what the goal of the conflict actually is. The potential extradition of Huawei CFO Meng Wanzhou does not help matters, as well as the series of unproductive trade meetings ending with more declarations of progress but no written deal. The U.S. economy is like a massive Jenga tower in which most of the vital supporting pieces have already been removed. Pull even one more, and the whole structure will collapse. Before we get too focused on a shutdown scenario or the trade war, though, we should ask, who removed all the other supporting pieces? The Federal Reserve has done this expertly through the inflation of the ‘everything bubble‘ and the subsequent and deliberate deflating of that bubble, all while using Trump’s ventures into government shutdown and the trade war as cover for their activities. Recent changes in language to Fed statements have led to an astonishing sea change in the views of the economic world. Within a month’s time market sentiment has gone from fears over Fed tightening to euphoria over assumed capitulation. I would remind the people embracing this sentiment, though, that the Fed pulled this same con only two months ago. In November of last year Jerome Powell changed minor language to his statements, which was broadly interpreted as “dovish” by markets. This led many to believe that Fed rate hikes and cuts were over. Only a month later in December, Powell stunned investors with aggressively “hawkish” language on top of an interest rate hike and more asset dumps. I mention this event because I believe it is dangerous and foolish for analysts to now proclaim the Fed has capitulated when all we have to go on is mere rhetoric that the Fed can change any moment it wishes. So far there is little indication beyond changes to Fed speech that tightening will stop anytime soon. Balance sheet cuts continue, and the Fed dot plot for interest rates still calls for at least two more hikes this year. Stock markets for now are driven by pure blind optimism that the Fed will step in with stimulus, not to mention the hundreds of billions of dollars in liquidity that the Chinese have been pumping into global assets in the past month. The fact is, nothing fundamental has changed. The effects of Fed tightening are currently evident in housing markets as overall home sales continue to plunge, auto markets see the most dismal sales in years, credit markets continue to tighten, and corporate earnings have been mostly disappointing. As a reader recently reminded me, Fed excess reserves are also falling rapidly. Financial institutions have kept excess reserves with the Fed for years because it offered a separate, higher interest rate as it lowered the Fed funds rate to near zero during Quantitative Easing. The Fed used these excess reserves for “overnight lending” to numerous domestic and foreign corporations during the credit crisis. As the Fed has raised the funds rate, the outflow of banks funds from the Fed’s excess reserves has increased dramatically in the past several months. While normal economic logic would say that this is a good thing because it would encourage banks to lend that money to get a better return, this has not been the case. Bank lending has not improved to keep pace with the repatriation of excess reserves once held at the Fed. So, the question is, if banks are not holding that money with the Fed, and they aren’t lending it, then where are the trillions of dollars going? My theory – probably into stock buybacks, which would explain the bull rally despite all reason during the first half of 2018. The continued outflow of excess reserves stands as more proof that the Fed is continuing to tighten policy while the mainstream wrongly convinces itself that the Fed is planning to reverse. Of course, as excess reserves dwindle and the Fed raises interest rates, making corporate debt more expensive, one wonders what will be left to artificially support stocks? The systemic crash of December will return with a vengeance if Fed language on dovish “accommodation” doesn’t pan out with action. The next major Fed meeting with a potential for a rate hike is set for March, and perhaps it is just a coincidence that both the trade war and the shutdown fight are poised to explode at the exact same time. If the Fed goes hawkish once again, or makes a move which surprises markets in any way, the shutdown and the trade war would provide more than enough distraction in the event that stocks plummet as they did in December. That said, it is possible that there will be no shutdown or declaration of emergency. Maybe the trade war will end in March with an equitable deal that makes China and the U.S. happy rather than another non-deal that both sides claim is “optimistic” while escalating the confrontation with more tariffs. And, maybe the Fed will reverse course on balance sheet cuts and interest rates, admitting policy failure and taking responsibility for lying about economic recovery. This would be quite a miracle, but miracles do happen.